Bats tend to be the most common animals to test positive for rabies in Lane County, but recently wildlife officials found a rabid fox found near a Junction City home. This serves as a good reminder that Rabies is still endemic in our wild mammals. Protect yourself by never touching a wild animal, especially if it is acting unusual. 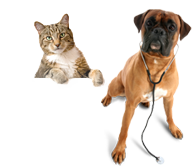 Protect your cats and dogs by keeping them up to date on their Rabies vaccination.